Judith Lichtman, PhD, MPH, is an Associate Professor (with tenure) and Chair of the Department of Chronic Disease Epidemiology at the Yale School of Public Health. Her research focuses the epidemiology of stroke and heart disease using longitudinal databases and prospective observational studies to understand cardiovascular and stroke outcomes. 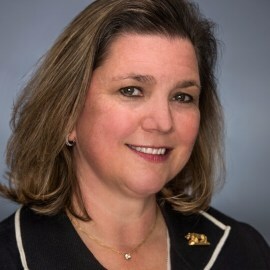 She has served on several national committees including the American Heart Association’s Patient Education System Task Force, Stroke and Epidemiology Councils, the Quality of Care and Outcomes Research Expert Panel, and the American College of Cardiology Foundation/AHA Task Force on Clinical Data Standards. She has been the co-chair for two National AHA Writing Committees on depression and heart disease, as well as a co-author for numerous AHA guidelines and scientific statements.